We're excited to announce that the work of Creative Carbon Scotland has been featured in an international book! 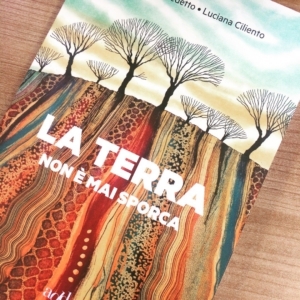 Authored by Luciana Ciliento and Carola Benedetto, the book is a collection of essays written by land artists, mountaineers, environmental activists, politicians, farmers, and our very own Green Arts Project Manager – Catriona Patterson! 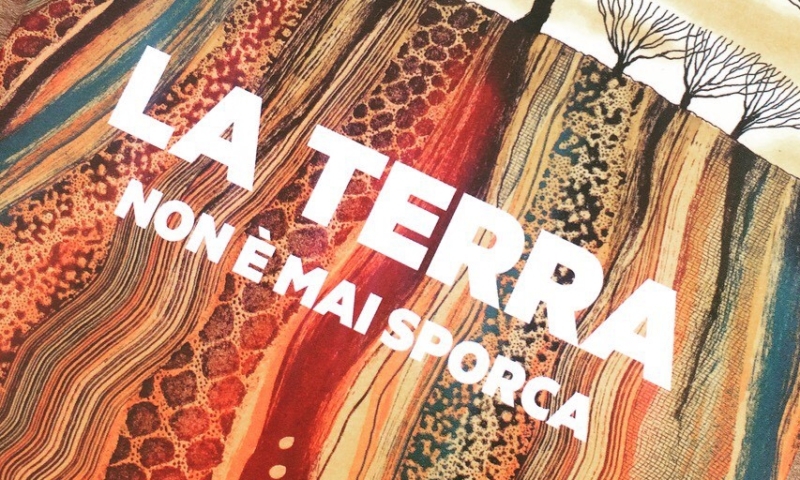 The book is entitled ‘La terra non è mai sporca’, which translates as ‘The Earth is never dirty’. Each chapter is written by a different contributor, and reflects on their differing perspectives and relationship with our physical environment. A number of wide-ranging topics are covered, including: new humanism, the intersection with politics, fast fashion, borders and identity. We’re thrilled to be included in this publication, and to have had the opportunity to share our approach with a wider audience. Creative Carbon Scotland’s contribution focuses on Scotland’s national efforts to become more sustainable (through things like our ambitious climate change targets) and how culture should be a fundamental driver in our society, particularly when it comes to re-evaluating our actions and approaches in the time of climate change. We’ve previously worked with Luciana before, in her role at Italian performing arts company Gruppo Del Cerchio. Their production, Song of the Earth was shortlisted for the Edinburgh Fringe Sustainable Practice Award (which we run with the Center for Sustainable Practice in the Arts) back in 2014. It’s fantastic to see an arts company so committed to environmental sustainability – working across performance and literature to achieve a more sustainable global society. We’re not Italian speakers here in the Creative Carbon Scotland team, so there are no dramatic readings planned (yet!) but we are happy to lend out our copy to those who can read it first-hand! The book is also available in e-book format and physical copy format through a variety of online websites, including Mondadoristore.it. Find out more about the book and other contributors on this website.